Hi friends! 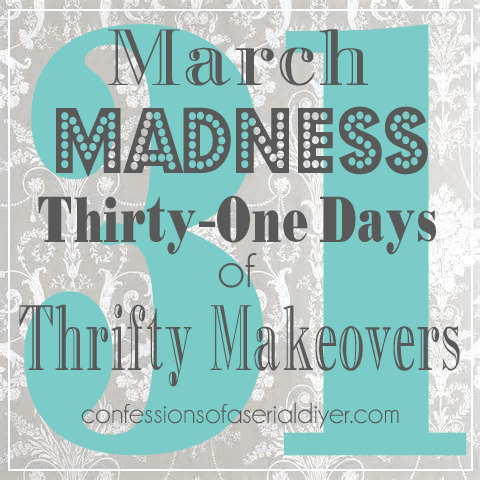 Welcome to day #23 of my March Madness, 31 Thrifty Makeovers in 31 Days series! 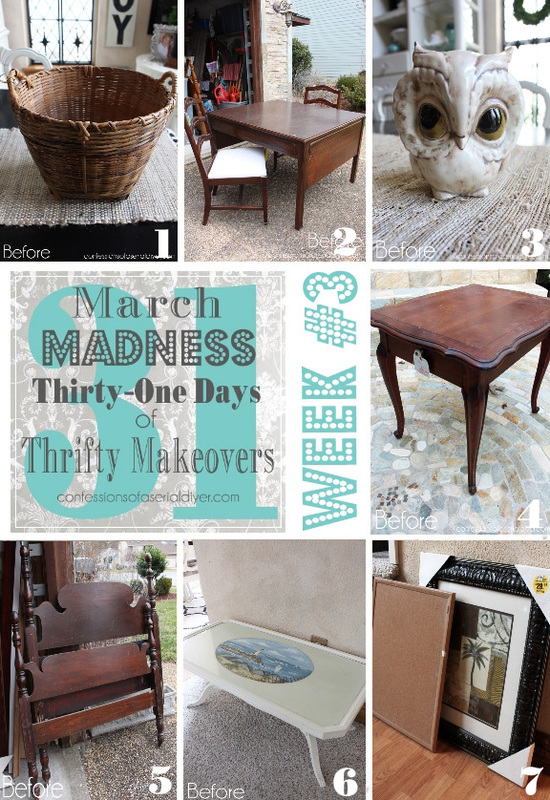 Today I’m excited to be sharing part of my parent’s surprise bedroom set makeover. It’s an oak set that they’ve had for as long as I can remember. My Mom has been trying to sweet talk me into painting this set for the better part of the last year. Of course I would do anything for my Mom, but this set was going to take time, and it just never seemed to be the right time. Then a couple of weekends ago when she announced that she and my Dad were going to my brother’s house in SC to help watch their cutie pie five month old while they move, I knew I had the perfect opportunity to surprise her! I headed over to her house on an icy/sleet filled Thursday night to get started. They left that afternoon and I knew I was going to need all the time I could get. 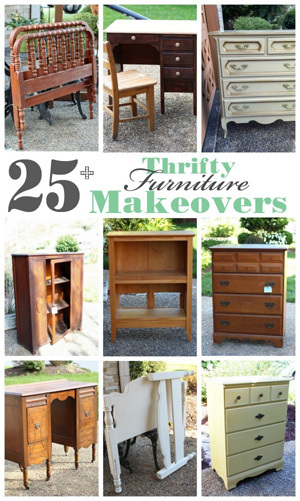 I painted four pieces: her dresser, my Dad’s dresser, and two night stands. I purchased these at Home Depot for $10 each. Later I learned that Lowe’s has ones very similar, but a bit slimmer for $7 a piece. 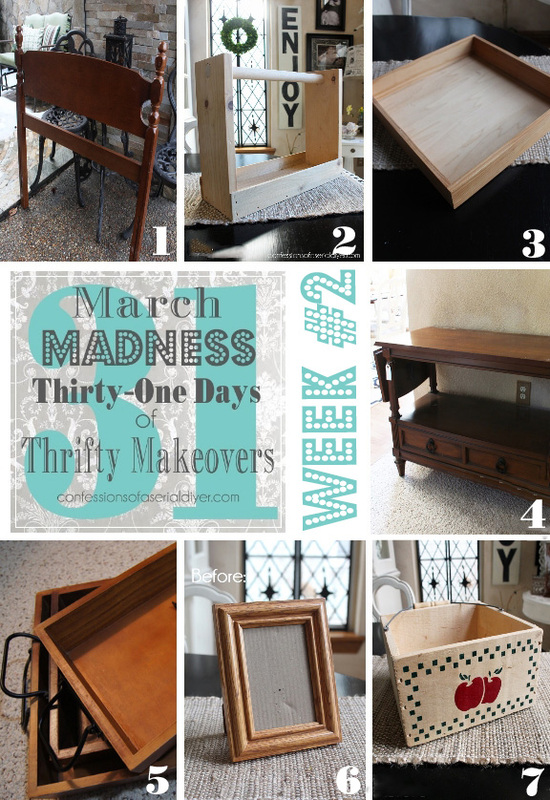 They originally had a brassy finish, but I spray painted them with Rustoleum’s Heirloom white, and sanded each one a bit to age them. 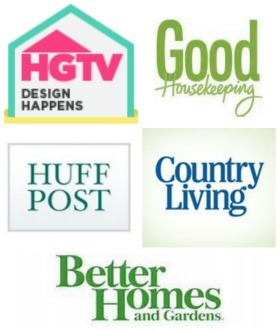 Would you believe they had all but one that I needed to complete this makeover? I had to add the final pull later. Now they’re perfect! 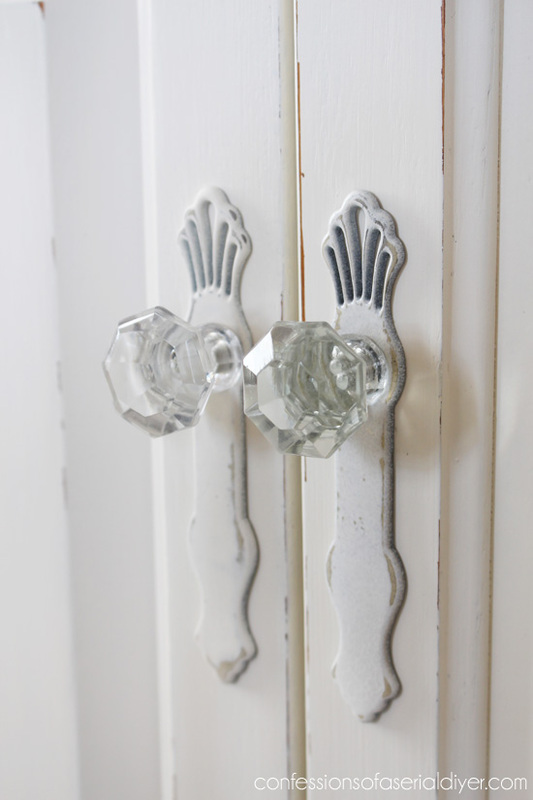 The center doors got simple glass knobs. I kept the brassy plates that had been there, just spray painted them. I only sanded lightly as my Mom is not a fan of overly distressed pieces. I followed up with a coat of Annie Sloan’s clear soft wax to seal. It really turned out better than I thought it could. There are too many photos to fit everything into one post, so I’ll be keeping you in suspense for one more day before I share the rest. I know, I’m mean…Sorry! I’ll also tell you how my plans got derailed and my Mom’s reaction to the surprise! I love the transformation of this, just looks beautiful now! Thanks, Heather! Hobby Lobby is the best place for hardware. We used to drive two hours to the nearest one to stock up, before we got one here 15 minutes away! Have a great day! Thank you, Sue! My Mom is always very appreciative of the things I do for her. And welcome back, I hope you had a great vacation! We did. Visited my cousin and her husband in Tampa. Weather was perfect and my cousin and I are like sisters and best friends!! Thanks big brother! This is Mom’s dresser. I had no control over the big TV and cords that were in the way of my photo shoot lol. Oh My Goodness, that is SO GORGEOUS!!! I LOVE it! LOVE LOVE LOVE!! 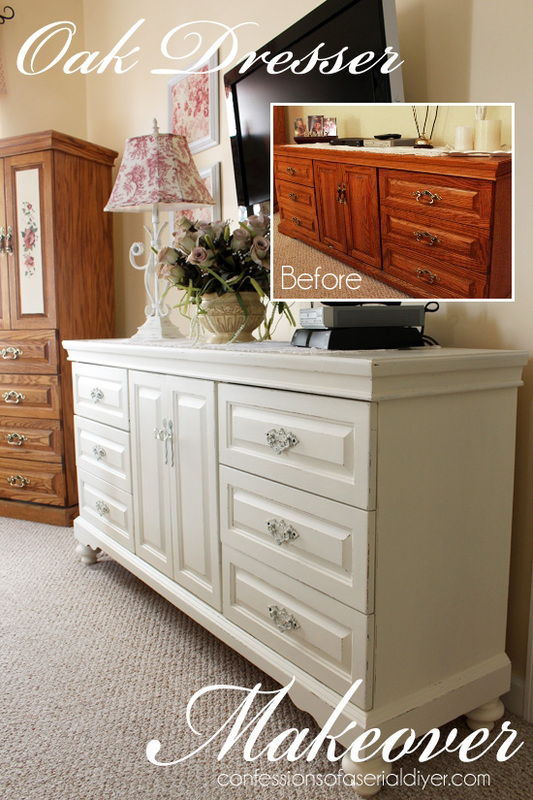 Awesome transformation…looks like a totally different piece! The funny thing is if my Mom would have offered this to me before, I probably would have turned it down. I was surprised how different it looked after! Gorgeous! 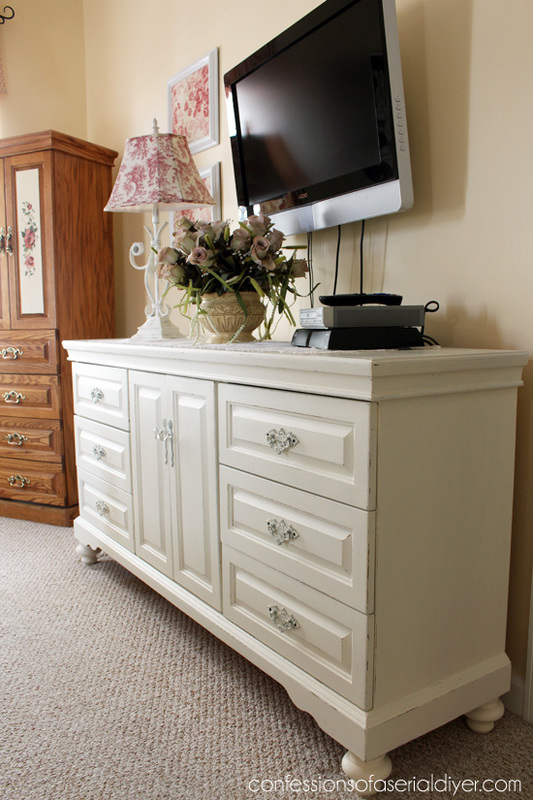 I have a dresser very similar to this one, handles and all. I love how it looks, and the feet are pure genius. I’m printing this post out and filing in it my “Thing To Do When I Build Up the Nerve” folder. 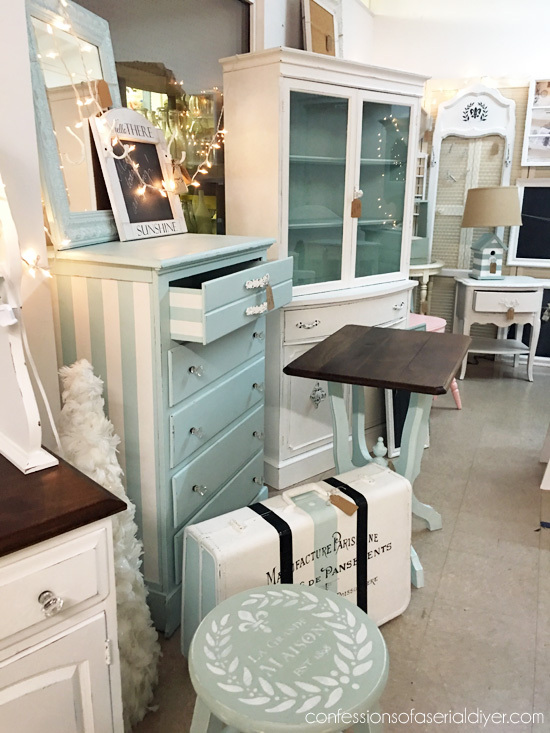 Oh Christy, I love, love, love your amazing transformation of the dresser! Your work is truly inspiring! Very nice! I bet she loves it! beautiful. I love a clean white finish on large furniture pieces. I noticed you didn’t paint the screws that hold the handles white. Was that on purpose? Can’t wait to see the rest! Great job! I couldn’t tell from the photos how much if any of the normal oak grain is still present. Can you discuss that a little? 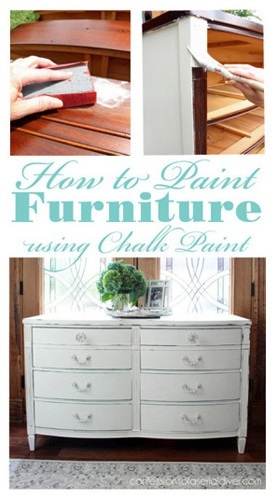 Did this version of chalk paint just cover the grain better? Did you wax it too? Thanks, Dee! I was really expecting to see the wood grain through, but it is hardly noticeable as you can see in one of the clos-ups. I’m not sure why that is. 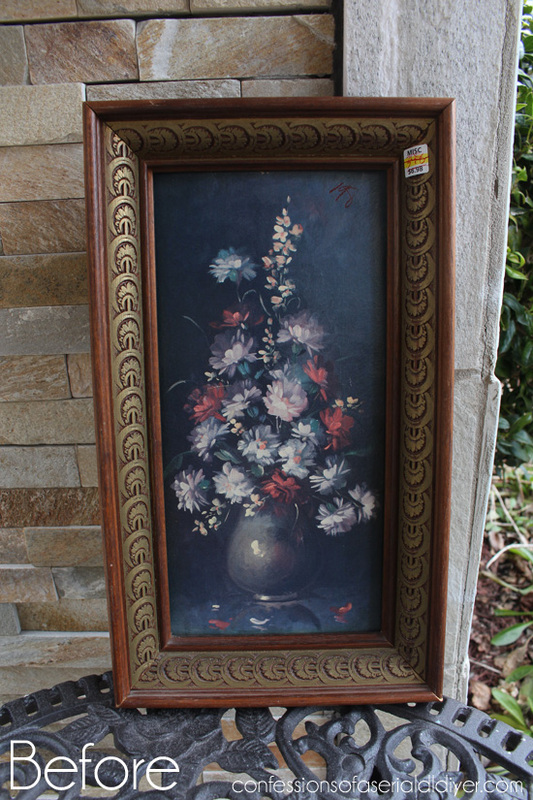 Maybe the chalk paint filled it in better? I also sanded the surface smooth with 220 grit sand paper before waxing. 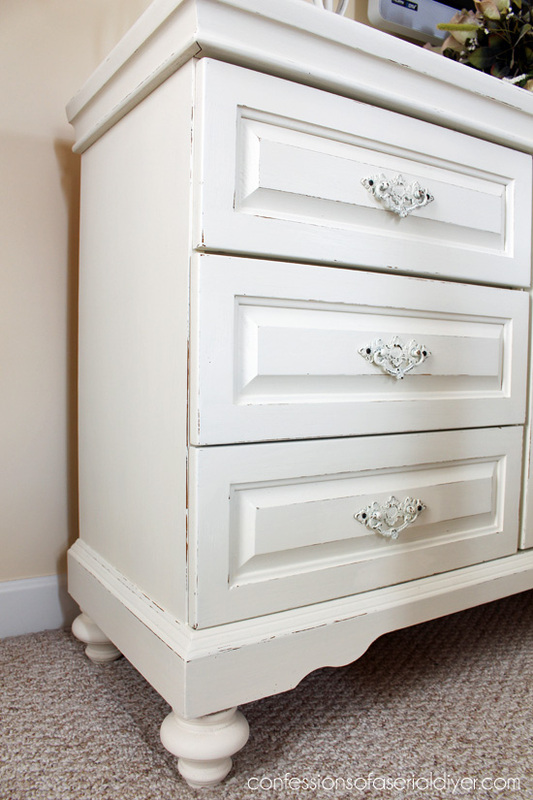 I used Annie Sloan’s clear soft wax. Thanks! 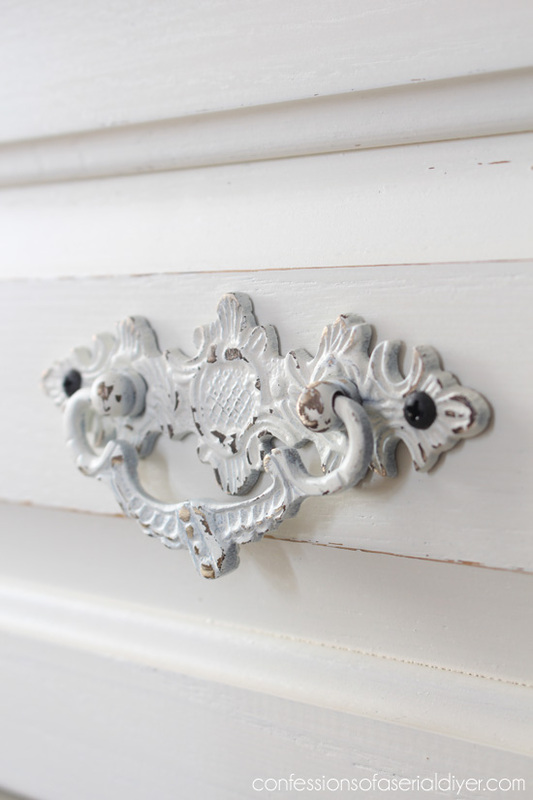 It seems the chalk paint hides the grain better which is big plus. 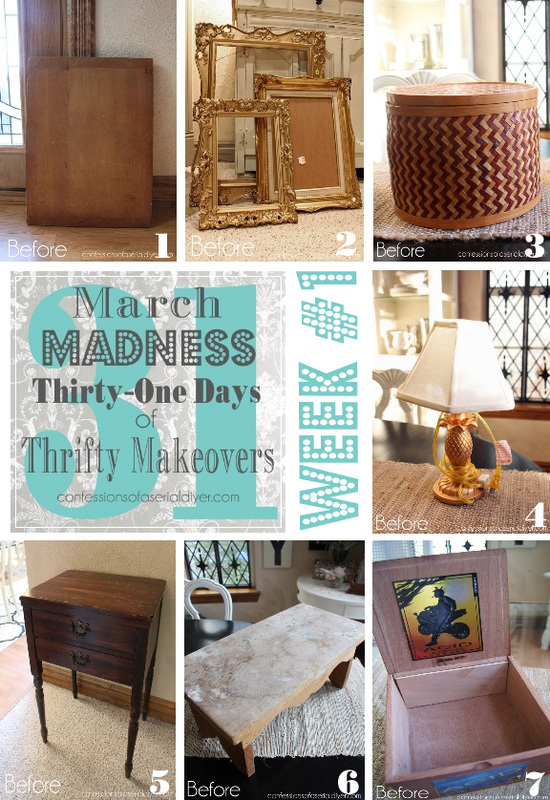 Now I wish I had not given my old desk away…chalk paint would have saved it. 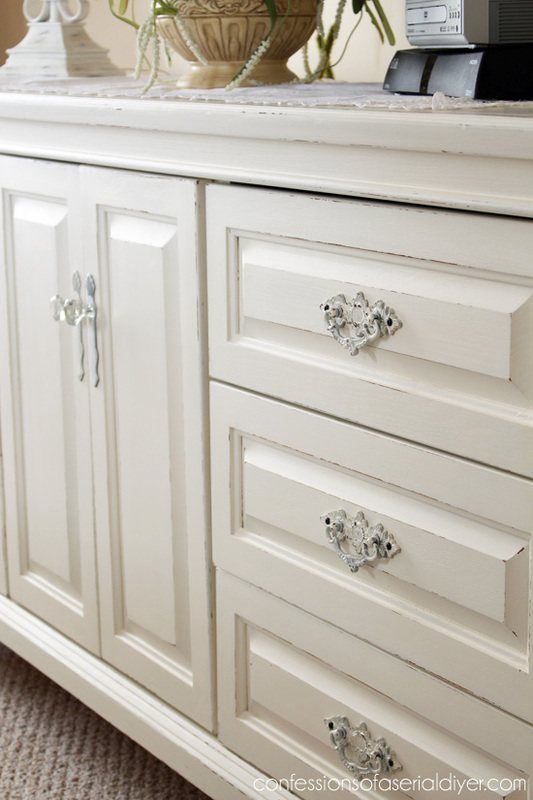 The dresser looks great and such a good idea with the legs and painted hardware. 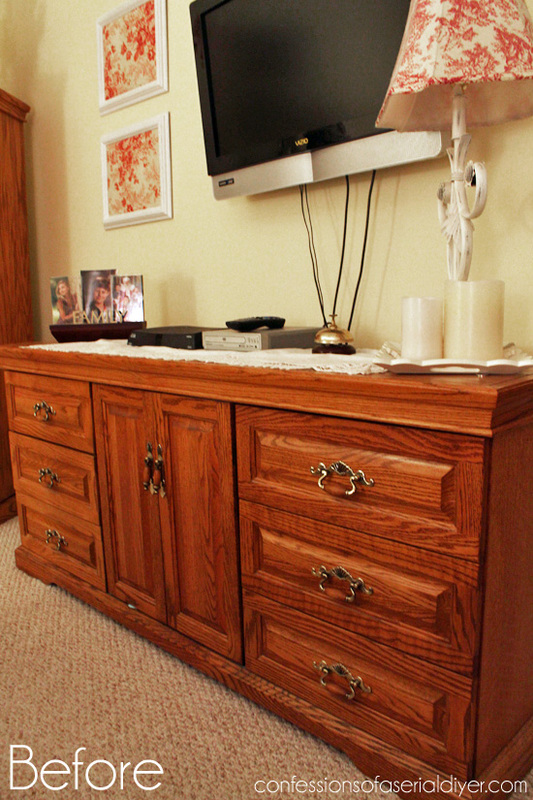 I just finished a similar sized pine dresser in Lamp Black for our bedroom makeover in progress. Gotta love the power of paint. 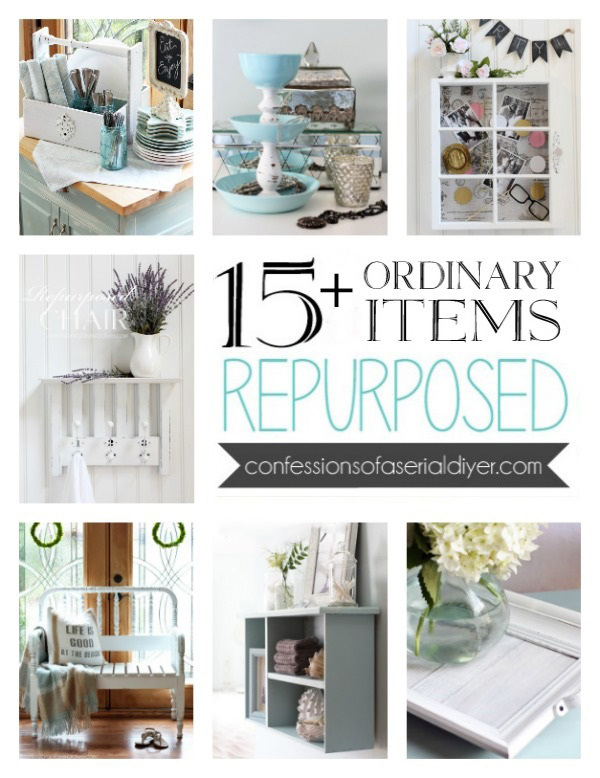 You always inspire me when I visit your blog and today is no exception. I steer away from pieces with flat bottoms and no legs or feet. Now I know what to do with them! Thank you again. Aww thanks so much, Paige! Honestly if my Mom had decided to buy a new set (before I painted this one), and she offered this to me, I probably would have said no thank you. This transformation really surprised me as well! The feet add such a great touch! 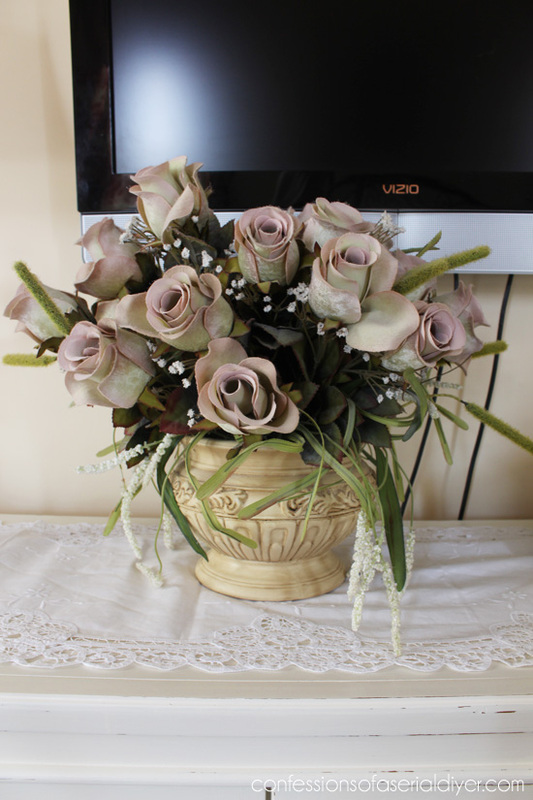 What a sweet daughter you are:) It turned out fabulous, Christy! 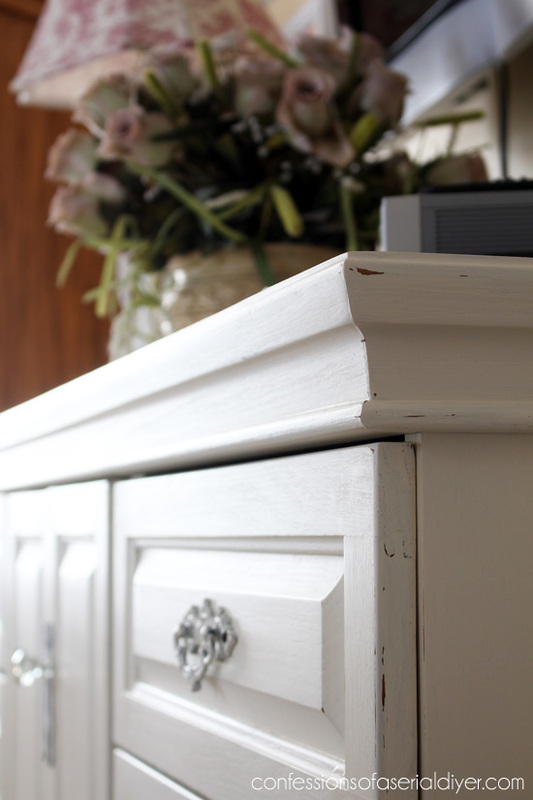 Has there been any of the oak’s grain showing through the white chalk paint? 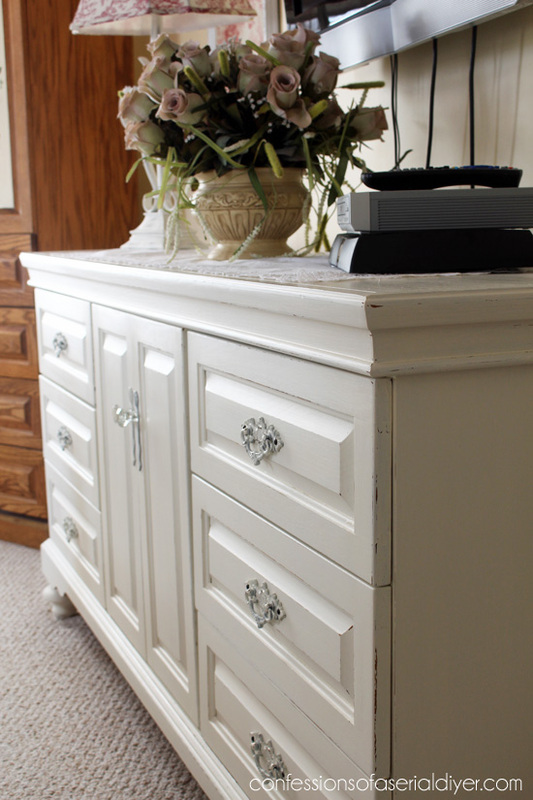 I have an oak dresser that I have been wanting to paint. Did you have to use a grain filler? Hi Robbie! I did not use a grain filler. I went straight to painting, but honestly, you have to be right up on it to even notice any grain. I included a few very close-up photos in that post and you can barely see it. The difference with it painted as compared to the before is so profound that even if you could see the grain through it, it would still be 100X better than it was. Good luck! Thanks, Kristen! I added the feet using this hardware I purchased from The Home Depot: http://www.homedepot.com/p/Heavy-Duty-Top-Plate-2755/100390125;jsessionid=5E69664193A9391DD71576057CF1DCA3 This plate crews into each corner of the dresser and the feet screw into them.